Welcome to my shop I am glad that you have stopped by. If there is something in particular that you are looking for please contact me at the.crafting.boutique@gmail.com and I will let you know if it is possible. Please contact me at The Crafting Boutique with your snail mail address so that I can get your prize package to you as soon as possible. Later I hope to be back with a picture of what is in the prize package. I am continuing on with the followers prize package for a while longer. When I reach the next 50 followers I will draw a name from all of the followers (the first 50 and the new 50) so if you became a follower in the first 50 you still have another chance to win a prize package. 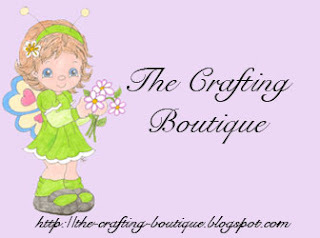 To help get the word out about The Crafting Boutique I have decided to hold a BLOG CANDY GIVE AWAY. For every 50 followers I will draw a name to receive a goodie package from the shop.